Dense and creamy with a hint of lemon and a crisp graham cracker crust, these cheesecake bars are an easy alternative to NY cheesecake. A slice of luxuriously rich NY-style cheesecake is one of my favorite guilty pleasures. If it’s on the menu, you can bet I’ll order it. But I rarely make cheesecake at home because it can be a bit fussy. It needs to bake in a water bath to prevent curdling and cracking, and it’s always hard to tell when it’s done. Cheesecake bars, however, are a different story. Dense and creamy with a hint of lemon and a crisp brown sugar-graham cracker crust, these bars are not only a cinch to make, they rival the very best NY cheesecake out there. They also have a high crust-to-cheesecake ratio so if you’re a crust-lover like me, you’ll 😍 them. Begin by making the graham cracker crust. In a medium bowl, combine the graham cracker crumbs, brown sugar, salt, and melted butter. Stir, using your fingertips if necessary, until well combined with no lumps of brown sugar remaining. Press into the bottom and 1 inch up the sides of the prepared pan. Bake for 10 minutes, until set. Remove the crust from the oven and set aside. Meanwhile, make the batter. In the bowl of an electric mixer, beat the room temperature cream cheese, granulated sugar, and flour together until just smooth, about 1 minute. Add the sour cream, eggs, vanilla, lemon zest, lemon juice, and salt. Beat on low speed until just combined, about 1 minute, scraping the sides and bottom of the bowl as you mix. Do not over-mix. Pour the batter into the warm crust. Bake for about 45 minutes, until the filling is set but still a little jiggly in the center (it will continue to cook as it cools). An instant-read thermometer, inserted into the filling about 1″ in from the edge, should read 180°F-190°F. Remove the bars from the oven, and cool at room temperature for 30 minutes. Refrigerate until cold, at least 6 hours but preferably overnight. Before serving, use the foil overhang to lift the cheesecake out of the pan and onto a cutting board. Cut into squares, wiping the knife clean with a damp cloth between slices. Serve cold with lots of napkins. Enjoy! Preheat the oven to 375°F and set an oven rack in the middle position. Line an 8-inch baking dish with heavy-duty aluminum foil (so that there is an overhang on at least 2 sides) and spray lightly with nonstick cooking spray. Make the crust: In a medium bowl, combine the graham cracker crumbs, melted butter, brown sugar, and salt. Stir until well combined, using your fingertips if necessary to be sure no lumps of brown sugar remain. Press into the bottom and 1 inch up the sides of the prepared pan. Bake the crust for 10 minutes, until set. Remove the crust from the oven and set aside. Reduce the oven temperature to 325°F. Make the batter: In the bowl of an electric mixer fitted with beaters or the paddle attachment, beat the cream cheese, granulated sugar, and flour together on medium speed until just smooth, about 1 minute. Add the sour cream, eggs, vanilla, lemon zest, lemon juice, and salt; beat on low speed until just combined, about 1 minute. Do not over-mix. Pour the batter into the slightly cooled crust. Check to make sure your oven has cooled to 325°F, then bake for 40 to 45 minutes, until the filling is set but still a little jiggly in the center. (An instant-read thermometer, inserted into the filling about 1" in from the edge, should read between 180°-190°F.) The cheesecake will continue to cook as it cools. Remove the bars from the oven, and cool at room temperature for 30 minutes. Refrigerate until cold, at least 6 hours but preferably overnight. Use the foil overhang to lift the cheesecake out of the pan and onto a cutting board. Cut into squares, wiping the knife clean with a damp cloth between slices. Refrigerate until ready to serve. Note: The cheesecake bars can be stored in the refrigerator for up to 3 days. Freezer-Friendly Instructions: The cheesecake bars can be frozen for up to 3 months. To freeze, place the cooled cheesecake (cut or uncut) on a plate and freeze, uncovered, until firm. Remove the cheesecake from the freezer, wrap it in heavy-duty aluminum foil and place in a freezer bag. Seal and return to freezer for up to 3 months. Remove the foil before defrosting. These bars are “almost” as delicious as my cheesecake. Everyone loved them and they would be great for a potluck. They are also very easy to put together. While this recipe seems similar to many others, it absolutely makes some of the best cheesecake I’ve ever had, and I’ve made dozens! Super creamy and delicious, and they freeze beautifully. I’ve made it several times with great success! Excellent recipe! Very easy to make, baked beautifully and were delicious. I used a 9 X 9 pan, baked for 35 minutes, shut off the oven and cracked the door for 10 minutes, let them cool on the counter for 30 minutes and then refrigerated them. Perfection, truly. This is a great alternative when you don’t want to make a whole big cheesecake. Once again, Jenn, your recipes always come out as they should. I’m making your boneless short ribs tomorrow because they are soooo delicious! Yes, Sharon, it’s fine to double this for a 9 x 13-inch dish. The oven temp should remain the same, but the bake time may be slightly different, so just keep an eye on it. Hope everyone enjoys! If I used this recipe and put I think in a 9×13 pan would it be really flat if I don’t double it? Made these for Super Bowl. This tastes just like Ruth’s Chris cheesecake, which is my favorite. I offered blueberry compote, fresh strawberries and whipped cream for topping choices. It was a hit. Someone commented about how good the crust was and if I did something different, which was the brown sugar. I did sample a small piece the night before while it was warm. So creamy and delicious. I’m definitely making this again. I noticed brown sugar in the crust on these cheesecake bars, however, you do not put brown sugar in your NY Style Cheesecake crust – is there a reason why? Do these bars “need” the brown sugar in the crust – or would the NY Style be better with brown sugar? Hi Lois, This recipe has quite a bit more crust (in proportion to the topping) and is sweeter than the NY-Style cheesecake, so the flavor of the brown sugar comes through. There’s so little sugar in the NY-Style cheesecake crust, it won’t make much difference if you use white or brown sugar. (Feel free to use brown if you prefer.) Hope that clarifies! Made this today to take to a family dinner tonight and it turned out perfectly. I love how, when you make one of Jenn’s recipes, they turn out exactly as described! Couldn’t wait the full six hours in the fridge and had to sneak a little taste – it’s really yummy when just cool, so soft, creamy and light! Going to buy some berries to serve with it. Is the ingredient list correct that you use 16 oz. of cream cheese for a little 8″ pan?? Sorry I doubted you. I have tried many of your recipes, and they always turn out great. I especially liked the advice to check on the temperature. That kept me from overcooking the bars. Sure, Judy – I’d love to know how they turn out! Can’t wait to try more of your recipes, and looking forward to summer rolling around to make all your delicious looking salad dishes. Coming out of the oven the cheesecake topping split from each corner. What caused this? Hi Nan, Your oven may run a bit hot; try either turning down the heat 15°F or cooking for a few minutes less. Do you cover the pan when you refrigerate overnight? Hi Julie, Yes, you can cover with foil or plastic wrap. This is my favorite cheesecake recipe out there! I find regular cheesecakes a bit heavy so this one one is perfect. I always make this for guests and everyone always loves it. It’s super easy to make and doesn’t take much time either! Recipe for the win! I see in several recipes you use a square glass pan. Is it a Pyrex or someone elses?I had one but it chipped on the edges a lot. Now I cannot find glass only metal at William Sonoma or Sur La Table. I love your recipes and cookbook. The cookbook made good gifts to my family. Have made and shared this recipe numerous times for potlucks and neighborhood events. Easy to make and serve in small paper “squat” portion cups. Reliable and popular winning recipe. Thank you Jenn for this one! Hi Nancy, I haven’t tried them this way, but I think it would work. The baking time really depends on the size of the tarts you’ll be making. Can I use light brown sugar instead of dark brown? Hi, Jenn – These look so wonderful! I was wondering if you could tell me how you would defrost these. I would love to make these ahead of a party and freeze them, but I want to make sure I don’t end up with a soggy crust. Thank you! These are simple to make and delicious! For ease of serving each piece can be put on a cupcake liner. Just flatten the liner to make room for the piece of cheesecake, then bring the sides of the liner up around it. These are delicious! And very easy to make. I do make cheesecakes in a water bath for very special occasions, but I needed something quick with fewer servings. (so I’m not tempted to polish off the leftovers!) These cheesecake bars were the perfect solution. I loved the brown sugar element in the crust – that was a new twist. The lemon makes them, I think, but they would be great without too, if you’re not a fan. They baked up perfectly, absolutely no cracking. I put them in the fridge overnight and they lifted out of the pan, no problem. Slice and serve! Really, really good. A keeper, as are most of Jenn’s recipes! I recently made these cheesecake bars for my son who was in the hospital. He told me he normally doesn’t eat cheesecake, but he glommed them up and asked for more. Very easy to make,they freeze well.I put some fruit syrup on top.Great. I made this recipe tonight and I love it. It was so easy to make and is sinfully delicious. I topped it with a little homemade fruit syrup. I saved the recipe and will definitely make it again. Wow, wow, wow! These cheesecake bars are so delicious and incredibly easy to make! I have Celiac Disease so I subbed in Kinnikinnick GF Graham Style Crumbs and gf Jules All Purpose Flour. The only way that my friends knew it was gluten free was by watching me eat it. I paired with the berry sauce. This recipe is a keeper! Thank you for yet another hit, Jenn! I’ve made these many times and they are always a big hit! With fall upon us, I would love to be able to make pumpkin cheesecake bars. Any suggestions on how to go about doing that? Thank you! Hi Marianne, glad you like these! I’d actually use this recipe if you want to go the pumpkin route. You’ll need to cut the recipe in half (and I’d still use a water bath to minimize the chance of cracking). I’d love to hear how they turn out if you try them! WOW! Really terrific cheesecake. We made the crust with chocolate cookie crumbs and added mini chips to the batter. So so good! We would like to try adding strawberry purée swirl – do you think that would work, and if so, how do you do it? Maybe purée fresh strawberries and swirl into the batter? Your expertise is always spot on! Thanks again for sharing your wonderful recipe! Hi Kathy, so glad you enjoyed these! Because cheesecake can be a bit finicky, I’d avoid changing the balance of the recipe by adding pureed strawberries, Instead, I’d suggest spreading it on top of the bars. Hope that helps! These are very tasty. More flavor after sitting overnight. Will make again. Thanks for the temp for testing for doneness. Prevents overbaking. Will make again! Could I double this for a 9×13 pan? Yes, Alexandra, that will work — the baking time may be a little different so just keep an eye on them. Hope you enjoy! 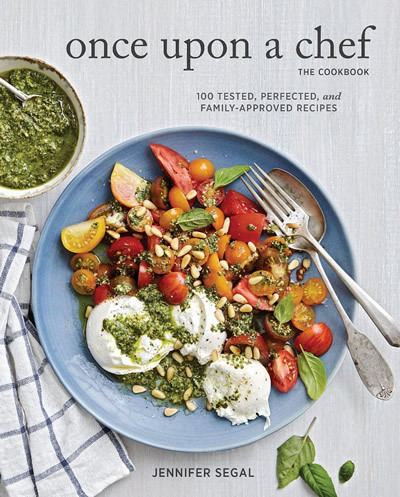 By the way…loooove your cookbook. Delicious! I cut the sugar to 2/3 c, subbed Greek yogurt for the sour cream, and beat the egg whites separately from the yolks, then folded them back into the batter at the end to create a lighter treat. The cheesecake ended up cracking a lot (should’ve added a few tb water to the whites while beating), but it tasted great – thanks for the recipe! Lisa, it seems to me that you did not make Jenn’s recipe. Why then are you rating her recipe at only 4 stars? Please rate *her* recipe, not yours, if you choose to comment in the future. Obviously, we all make subs and changes at times, but if you do that, make your changes, comment on them, but don’t leave a star rating. Made these the night before a cookout and everyone loved them. I served with fresh strawberries and blueberries. I thought the amount of vanilla used seemed like it would be too much but I added the amount called for and it was perfect. Easy and delicious! This recipe sounds delicious and I am making it for Teacher Appreciation Day. I would like to double the recipe. Should I double all ingredients? I also read another reviewer’s advice about using a 9×13 pan and baking for 45 minutes. Anything else I should take into consideration when doubling this? Hi Ronna, Yes, you would double all the ingredients. The only other thing to keep in mind is that baking time may be a little different so just keep an eye on them. Hope the teachers enjoy! Hi Jennifer, to make this cheesecake bar filling gluten free would it be ok to use gluten free cornflour or flour instead of the regular flour? Sure, Karen, that will work. (Keep in mind though that the graham crackers in the crust have gluten; unless you have a gluten-free version.) Hope you enjoy! Made three trays of these cheesecake squares in mini-cheesecake form. Used aluminum paper lined cupcake cups and added cherry pie filling to the tops. these were terrific, looked oh so cute, and were devoured. Great recipe for party dessert. Can I use a lime instead? If so, would I still use vanilla? Sure, Dawn, you can use lime instead (and I’d still include the vanilla). Enjoy! These are so easy and such a great knockoff for traditional NY style cheesecake. We added a bit more lemon zest but that was it. Perfect and stand back there will be a run to the kitchen for this treat! Good dessert, especially to finish off a casual lunch or dinner. The bars freeze very well so I try to keep a batch in the freezer for unexpected guests/visitors. I made these for Christmas Eve and they were such a hit I am making them again to bring to the Super Bowl party on Sunday. They are perfection and I like having a small square instead of a big piece of cheesecake. Can coconut sugar be substituted instead of the granulated sugar listed in the recipe? Hi Margaret, I’ve never used coconut sugar so I can’t say for sure, but I’d be reluctant to make changes to this recipe because cheesecake can be pretty finicky – sorry! I enjoy your recipes tremendously. Do you have any suggestions on how to make these bars Chocolat-y? Hi PC, you could use chocolate graham cracker crumbs to make a chocolate crust and could add mini chocolate chips to the filling. I wouldn’t fuss with it other than that, as cheesecake is pretty finicky. Hope that helps (and I’d love to hear how it turns out if you make any tweaks)! These are some of the best cheescake desserts I have ever made or eaten! They are so satisfying and everyone who tries them loves it. I substituted the lemon juice and zest for lime the last time I made and they were also fantastic. Gives it a nice subtle flavor if you want to mix up the original lemon flavor. Great recipe! I made these for Thanksgiving and they were a big hit. I didn’t make any changes and will be making them again soon. Love them. A cheesecake lover, I was skeptical about the concept of bars, but these are fantastic (fits right in with the other wonderful recipes on this site). I used Meyer lemons (a more mild lemon-tangerine cross) and used 2t. Managed to spirit a couple to freeze, and worked great nestled in parchment in a plastic container. I loved this great basic recipe for cheesecake bars. For a more holiday treat, I substituted a half cup of ginger snap cookie crumbs for some of the graham cracker crumbs and rather than using lemon zest and juice, merely added a teaspoon of nutmeg to make an egg nog cheesecake bar. Very versatile recipe! These are delicious! I made them for a party and they were the hit of the dessert table. Thank you! These are fantastic. Any suggestions on the best way to double the recipe in terms of pan size and baking time? Also, I’m bringing these to a dinner party, what is the best way to transport these? Would you cut them up just before serving? Hi Adina, glad you like them! I would suggest a 9 x 13-inch baking dish if you want to double these. The baking time may be a little different so just keep an eye on them. In terms of transporting them to a party, you could cut them up either at home or at your destination; whatever is easiest for you. Hope everyone enjoys! Hi, Jenn. I just made these cheesecake bars, doubling the recipe in a 9 x 13-inch baking dish as you recommended. I baked them for 45 minutes and they came out perfectly. Just wanted to let you (and your fellow bakers) know! Thanks so much for the follow-up, Elyse — glad they turned out well! Another 5 Star dish! I made this last night, chilled it overnight, and brought to my office to share. I also chilled a can of cherry pie filling and before I left the house I piled it on top of the dessert. It was superb!!! Co-workers asked for your website. Hi love the recipe! Question can I freeze these? Glad you like these! Yes, they freeze nicely. I just made these but used limes instead of lemons. Absolutely delicious. I do not like measuring butter. What is the trick to accurately measuring 5 Tbsps of butter? Can I melt it first? Thanks Jenn! Hi Delada, In the States, the measurements are marked on the butter wrapper. You can melt first if your butter isn’t packaged the same way. Perfect, thank you Jenn. I find my crusts are generally too hard or too crumbly. Melting first will work. These turned out beautifully! I used cinnamon graham crackers and subbed Greek yogurt for sour cream since I didn’t have sour cream on hand. The crust was to die for! I made these for a party and everyone loved them. They were gone in minutes. One idea I had for next time was maybe add some cherry pie filling on top after they have cooled down. Definitely 5 stars! Made these cheesecake squares and they were delicious. Super easy also. I made these for my family and they were devoured! They were easy to make and delicious. My husband loved the lemon flavor. The zest gave it a small burst of lemon flavor but not overpowering. I loved the graham cracker crust. This sounds wonderful & easy. How would I change to make it a pumpkin cheesecake bar? How much plain unsweetened canned pumpkin would I add? Would I decrease any other ingredient? I can figure out the spicing. Thanks! Hi Ruth, I’d use my pumpkin cheesecake recipe as a guide, although you can reduce the amount of filling by about half. Thanks. I had not seen your pumpkin cheesecake recipe. It sounds great too. Hi Susan, I use an 8 x 8-inch pan. Enjoy! Hi Jenn My 8″ pan is dark metal not glass. What adjustments, if any, do I make to temp and baking time. These look delicious and am anxious to make them. Thanks for all the great recipes. Hi Sharon, you shouldn’t need to make any adjustments to the temp or baking time; just keep your eye on them. Hope you enjoy! How can I make this in a 9×13 pan? Hi Eleanor, you would need to double the recipe if you plan to use a 9 x 13-inch pan. The baking time may be a little different, so keep an eye on them. Enjoy! Hi Alison, Yes they freeze well. Enjoy! thanks – I made a gluten free version of this for work and it was devoured by both GF and non GF people. They loved it – all gone within minutes. Excellent recipe. Thank you! According to my family, these were a 10 out of 10! The brown sugar crust was to die for. Can’t wait for an excuse to make them again! I can’t wait to try these…what other desserts freeze well? Thanks in advance. Hi Wendy, there are a lot of desserts that freeze nicely. A couple that quickly come to mind are the Golden Rice Krispies Treats, Supernatural Brownies, any of my biscotti recipes and coconut macaroons. Let me know if you have questions about any other recipes. Hi Ann, the crust gets baked at 375°F. After you remove the crust from the oven, reduce the oven temp to 325°F to bake once the batter has been added. I never seem to press the the crust correctly. How hard to press to get right results? Mine are like a rock or doesn’t hold together . Hi Terry, For this recipe, you want to press it as firmly as possible. It shouldn’t be like a rock b/c of all the butter and sugar. Hi Jan, I’d let the oven temp come down to 325 before putting the bars in the oven just to be safe. Hope you enjoy them! When baking, is there much difference between a non-stick cooking spray and a spray specifically made for baking, which I’ve always used. This probably sounds like a stupid question, but they are slightly different and I just want to be sure. Thanks. Hi Joan, If the spray is specifically for baking it may have some flour added to it (like this one from Baker’s Joy), with makes it similar to greasing and flouring your pan. I do think it’s a great option for baking. If I am using a glass baking dish would I reduce temps by 25 degrees? I can’t wait to try this…I love all your recipes. Hi Wendy, I used a glass dish for these so I’d just follow the instructions as is. Hope you enjoy and please LMK how they turn out! After the first time, I started using a 13 x9 rectangle glass dish, they go so fast, but other than that I would not change a thing, and I’m making them for superbowl day.